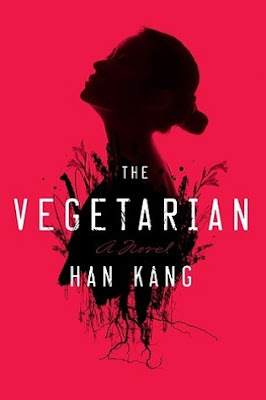 Very interesting premise and opening for The Vegetarian! It's not the style I usually read, but I hope you enjoy it! Kym - So far I'm finding it strange, yet irresistible. There's been so much buzz about The Vegetarian, but for some reason I have avoided it. I'll be interested to hear your thoughts when you finish it. Catherine - I'm about 1/3 through now, but will wait until I've finished to say more. I know you hate to be leaving Sanibel. It seems, at least to me, that you have done fewer posts this winter from Sanibel, but I know that must mean you've been out having more fun and enjoying the Florida winter lifestyle. Have a safe trip home and I look forward to new book reports when you get settled in there. I know you and Zelda will miss your walks on the beach. Sanibel and Captiva are so lovely. JudyMac - I haven't blogged nearly as much this winter, you're right. We had a lot of company and I just haven't been in the mood to write about books. Plus, I was spending way too much time on the news. This is also the first year I haven't been ready to head north again and I know Zelda will miss the beach, too. Fingers crossed for a more regular blogging schedule once I get back into my routine at home. I keep thinking that through these dreary weeks (it's in the 40s and rainy today) the trees on my street are starting to green and it really will be spring soon. (April didn't count.) Have a safe trip home! Audrey - April never really counts as spring for me either, although my sister says it has been unusually mild the last two weeks. It will get cold again just in time for my arrival... sigh. I think the 50's would be too cold too! I hope you enjoy your last week in Florida, and have safe travels home. I have heard good things about The Vegetarian. I hope you enjoy it! Your other selection, Nothing to Envy sounds very timely as well. Enjoy! Thank you for sharing, JoAnn. Have a wonderful week! Wendy - The Vegetarian is such a strange little book, but it has really managed to draw me on. I'm loving Nothing to Envy and hope to finish it today or tomorrow. Laurel-Rain Snow - I don't think I've ever read a future wife description quite like that! The book is very good,but I'm reserving judgement until I see where it ends up. I'm not familiar with either of these books, and they both look fascinating. I'd keep reading! I hope that you have a nice trip back home! Monica - I like when my fiction and nonfiction have a common theme... and I didn't even plan it this way. Both books are good so far. The Vegetarian has been on my radar for a while. Can't wait to read your review. I've only heard really good reviews of The Vegetarian so it's been on my list to check out. That's a great opening paragraph. I hope you have a good trip back home! Iliana - I'd been curious about The Vegetarian for a while. The timing of Jillian's review and library availability seemed too good to pass up! I like the narrator in the opening paragraph. I'd like to read more because I'm curious as to why he married her after that first impression. Have a safe trip home. Interesting opening. This book has had really good reviews, I must investigate. Enjoy your trip! Vintage Reading - The reviews have been very positive overall. I didn't think a book like this would pull me in so easily, but I'm completely hooked! Safe travels home. Very unusual intro, I would keep reading to see where the story goes. Nise' - We're going to try a different route home and take in some new sights. Hopefully I'll find some time to read, too. Tough to leave Florida but I hope you have a great last week and safe traveling. Hopefully the weather warms up at home! That North Korea book looks fascinating. If you're interested in more Korea reading, I saw a post a week or two ago with a whole list of em. Here's the link. Greg - I'm finding it harder to leave FL this year than in years past, but it will be good to see my parents after such a long winter. I'm hoping to finish Nothing to Envy today or tomorrow... it's excellent! Greg... and thanks for the link. Can't wait to check those out!! I really want to read a narrative of life in North Korea. There seems to be a few of them around. That country is such a dark and enigmatic place. I may read this book myself in the coming months. Brian Joseph - I don't think I'll be leaving North Korea after I finish Nothing to Envy. I look forward to checking the post Greg mentions above. I liked this one a lot; it's different for sure. I think I have The Vegetarian on hold at the library as well. It's one of those books I've been waffling about reading...figured a library hold was low risk. Sarah - I'm going to bet The Vegetarian pulls you right in, too! Temps in the 50s sounds WAY to cold! We're in the 70s and I'm not entirely sure how I feel about it. It still feels pretty chilly but I'm quite a wimp. An interesting combination of books - both Korean but I imagine very different. 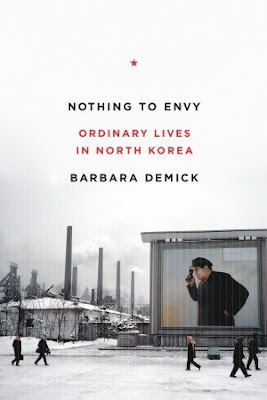 Nothing to Envy is on my TBR and I'm glad to hear there's some background info as I know an embarrassingly little amount about North Korea! Have a great week and a safe trip home. It sounds like a strange book but now you have me interested in it too. It won the Booker Prize so it must be a bit powerful. Look forward to your review. Enjoy safe travels back home. Susan - Definitely a strange little book, but it has certainly pulled me in. Wish I had more time to read this week. Vegitarian has been getting good reviews, but then so have other korean authors.. thanks for this nudge, I'll probably put this on my list to read too.. i quite enjoyed Pachinko. Tamara - I'll finish The Vegetarian today, and it is a very unusual book! Can't wait to see how it ends. I kept reading, but it's not a book for everyone. Pachinko is on my list, so I'm glad to know you liked it.